RIO DE JANEIRO - With a Hokkien pronunciation that sounds similar to "luck", the number six is considered by most, especially the Chinese, to be an auspicious number. It was with this lucky number, inscribed on a bright red ball, that Singapore table tennis team manager Eddy Tay secured paddler Yu Mengyu a berth in the bottom quarter of the top half of the Olympic women's singles draw on Wednesday. It meant that while rules of the draw stated the Olympic debutante had to be in the same half as top seed Ding Ning of China, the Singaporean could at least avoid the Chinese until the quarter-finals. Both Yu and team-mate Feng Tianwei, who are seeded among the top 16, have been given byes into the third round. Said Tay: "For Mengyu, it's a fairly good draw. This will give her extra motivation. "Other than China, the standard is very close among the rest. It will really depend on how well we perform (on the day)." Meanwhile, Feng, the second seed, will have to contend with reigning Olympic champion Li Xiaoxia in her half. 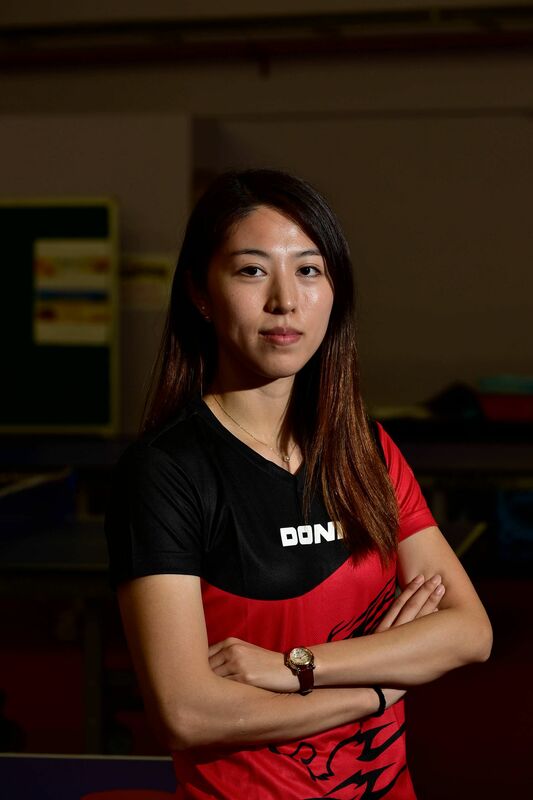 Austria's Liu Jia and Japan's Ai Fukuhara are potential opponents in the latter stages - both players she has an overwhelming winning record against. But before Feng contemplates the business end of the competition, she will first need to overcome a potential landmine in her opening match. The Singaporean could begin her campaign in the third round against Spain's Shen Yanfei, an adversary she has an inferior record (3-4) against on the professional circuit. However, the pair have not met in the last four years. Shen notably upset Feng in the third place play-off at the 2012 Women's World Cup. Luck, however, was lacking during the women's team draw. Singapore, the No. 4 seeds, were drawn in the same half as powerhouse China, putting a likely semi-final clash on the cards. South Korea, whom the Republic could meet in the quarter-finals, are another tricky side. The table tennis team are targeting to retain at least one of the two medals won from London 2012, with Feng touted as the bigger medal hope. In the men's singles, Gao Ning will begin his campaign from the second round while Chen Feng got a bye in the preliminary round and will play Finland's Benedek Olah in the first round.